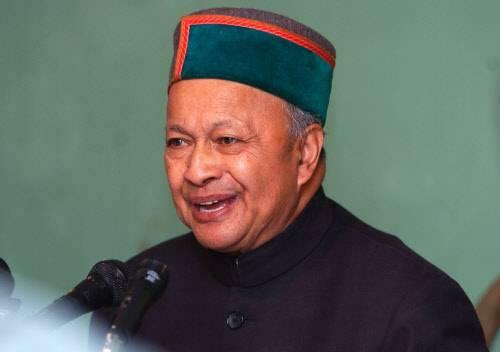 In a setback to Chief Minister Virbhadra Singh, the Supreme Court today transferred from Himachal Pradesh High Court to Delhi High Court a plea filed by him in a disproportionate assets case. The apex court also ordered deletion of allegations and counter allegations made by either parties against the high court judge and the counsel representing CBI in the case. While CBI sought transfer of the case to Delhi saying Singh was using his influence in the state being its chief minister, Senior advocate Kapil Sibal, appearing for the Chief Minister, opposed the transfer saying it would send a wrong message that the state HC is not fit enough to hear this case. On October 26, the court had issued Singh and his wife notices on a petition filed by the CBI challenging the state High Court’s order granting protection against their arrest in the case pertaining to amassing Rs six crore worth of unaccounted money when he was a union minister. Rohatgi said it was an unprecedented decision by the HC as the Prevention of Corruption Act itself mandates that investigation into a corruption case should not be stayed by any court.Seeking custodial interrogation of Singh and his wife in a corruption case, CBI had moved the Supreme Court last Thursday and asked for an urgent hearing of its plea.Challenging the Himachal Pradesh High Court’s order granting protection against possible arrest and other relief to Singh and his wife, CBI has claimed that this order virtually stalled probe into the case.He said that the High Court has not only restrained CBI from arresting the Chief Minister but also embargoed it from filing charge-sheet.The Himachal Pradesh HC had, on October 1, restrained the CBI from arresting Singh and his wife in the DA case.Admitting Singh’s plea, the High Court had also directed the CBI to keep the court informed before interrogating the couple. The Chief Minister had filed a petition in the High Court pleading that the raids on his private residence and other premises were conducted with “malafide intentions and political vendetta” by the investigating agency. Himachal Pradesh HC had on October 1 restrained CBI from arresting Singh and his wife in the DA case but had allowed the enquiry in the matter to proceed.Admitting the petition of Singh against, the high court had also directed CBI to keep the court informed before interrogating the couple. The chief minister had filed a petition in the high court pleading that the raids on his private residence and other premises were conducted with “malafide intentions and political vendetta” by the central investigating agency.